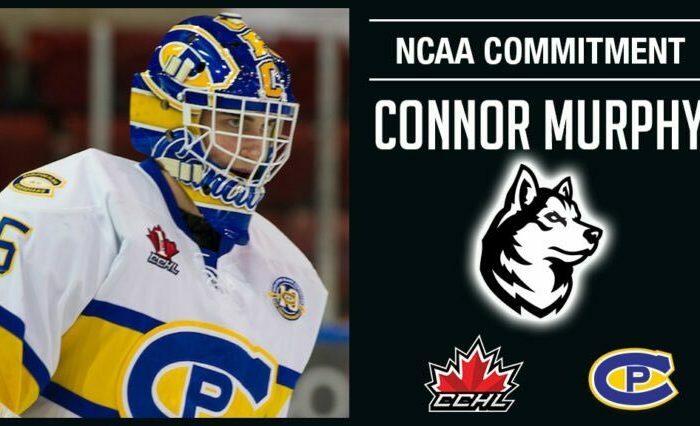 After battling their way through a penalty-laden affair, the Northeastern Huskies emerged from Matthews Arena victorious over the Acadia Axemen by a score of 3-1. Goals were scored by Adam Gaudette, Trevor Owens, and Eric Williams. Northeastern escaped largely unscathed, although both Sam Kurker and Grant Jozefek were downed during the game after hits. Kurker even had to go back to the locker room and missed a handful of shifts, but did return to the bench and ice after his injury scare. Below are some thoughts and impressions the three of us took from the game. 1) What are your overall impressions from the game? Downie: Forget about Northeastern. Something has to change about these Canadian exhibition games, this whole weekend showed that. Multiple misconducts in every game, a 10 year old in the stands getting slashed, a 40-man brawl out in Bowling Green. The NCAA makes these games happen by not allowing teams to play exhibition games against other NCAA teams. The CIS turns these games into dangerous and scary affairs by not disciplining their players for their actions in these games and giving them free reign to do whatever they want. I don’t know what the solution is. 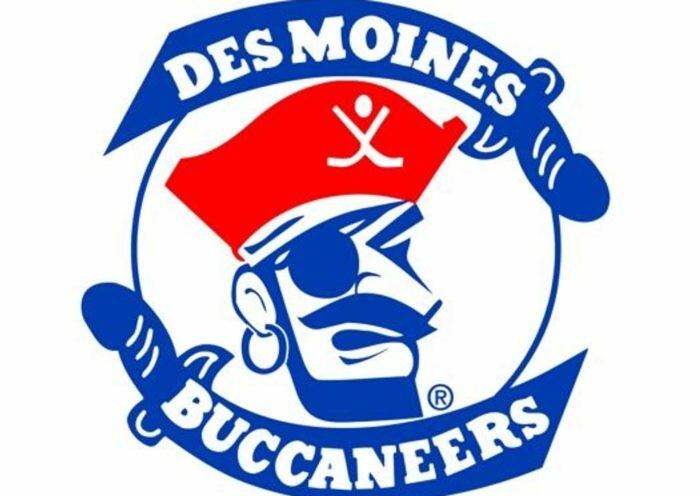 If the CIS won’t step up, maybe we let teams play games against USHL teams that weekend? But the current situation is bad for the players, bad for the fans, and bad for the game. Davis: Agree with Mike regarding these CIS games. They need to stop. NCAA teams have everything to lose, whereas CIS teams face no discipline for their actions. NCAA teams are asking for trouble and for injuries, which both Northeastern and UVM have seen come to fruition in the last 5 seasons or so. Regarding play itself, I thought Northeastern controlled the pace of the game, and largely took command in the offensive zone. The top line will be strong and controlling again; they cycled the puck well and got some great scoring chances, but couldn’t bury them. Northeastern seemed responsible in the defensive zone, and outshot Acadia as a result. The penalty kill was fantastic, allowing only one power play goal, on a scrum in front of Ruck- not a clean, well-set-up chance. I also noticed how many defensemen were leading the rush and then jumping into the play after the puck entered the zone. Davies, Cockerill, Williams, Shea, Owens, Schechter- all of these guys got below the dots at some point at even strength to drive the offense. I like seeing that, it gives NU more weapons and potential scoring chances. Just need to make sure the back end is secured in the event of a quick opposition breakout. Fallon: I couldn’t agree more about these Canadian exhibitions. Coming in to the weekend I was fairly neutral on the subject, but after seeing this Acadia team goon it up for a period (Jozefek got absolutely lit up and Gaudette got tossed to the ice after sticking up for his teammate, among other incidents) I was completely on board with punting the last 40 minutes. With the chippy, antagonizing play, I was just happy they escaped the game healthy. Something has to change here. Regarding actual play, I personally feel like there wasn’t a whole lot to take away considering that nearly half of the game was played on special teams. The power play was exciting to watch; they had excellent looks all night (although the finishing needs to improve). The penalty kill and the defense were both solid in digging pucks out and transitioning them. I’ll echo Davis as well: the defensemen were very active offensively, consistently jumping up in the play and chasing pucks down low. That’s something to watch on both ends of the ice going forward. I also thought they were a little streaky with zone entry. They had stretches where they set up with ease and others where it was a struggle. Overall a good way to come out of the gate. One other quick note: I thought it was odd that Ruck and Theut split the game and that Frye got no time at all. Probably nothing significant about it, but generally Madigan has given each goalie a period in these exhibitions. 2) Who are some players that impressed you/did not impress you? Downie: The defensemen performed well in their own end. The only one I really noticed in the defensive zone was Davies, which I consider a positive. If I didn’t notice you, you didn’t make a mistake or cause a problem that was worth remembering. Offensively, I was really impressed with Eric Williams, whose already incredible shot seems to have somehow gained another 10 miles an hour over the offseason. Tanner Pond played well. Filipe had one really good chance he didn’t quite stuff five hole. Davis: Players that impressed me included Davies, Gaudette, Owens, and Williams. The fact that three of those players are defensemen is a good sign, considering the question marks surrounding the defense. I agree with Mike regarding Williams’ shot. His goal was in close, below or at the level of the faceoff dot, and he put a slapshot top shelf in a corner. That’s video game stuff right there. Davies impressed me in the offensive zone, how he jumped into the play, controlled the puck at the blue line and carrying it down the boards and around the net, and he flashed his playmaking potential. He’s gonna be special. Gaudette will have a monster year I feel. He improves basically every game. Owens I was watching to see if he would stand out among the “6th D” candidates, and I felt he skated well, scored on a beauty of a shot, and was responsible in his own zone. In my eyes, he has to be the favorite or a lock for a bottom pairing. Players I felt struggled/was not impressed with in the small sample size included Jake Schechter, who made two horrendous turnovers that led to two good chances for Acadia, including one turnover that led to an Axeman all alone on the doorstep; Nick Fiorentino, who didn’t play much but one shift had two miscues including whiffing on a potential goal scoring chance on a 2-on-1 in the 2nd period; and one concern I have is Jozefek got throttled this game, both in open ice and along the boards. Gotta hope he’s ok and came out healthy, but he’s not the biggest guy on the team, hope he can bounce back and stand his ground more in the coming weeks. Fallon: The guy who stood out to me the most was Adam Gaudette. He was all over the place, playing a strong 200-foot game and potting the season’s first goal. I agree with Davis, he’s primed for a huge year. I was also impressed with Cockerill and Williams who played with confidence in both ends and were very effective when stepping up into the offensive play. Jeremy Davies made an impression on me as well. It’s clear that he has excellent vision and playmaking abilities. He will rack up the assists this year, especially on the power play. One other guy I was watching closely was Dylan Sikura. He had his moments, flashing his elite puck skills and offensive play-making, but (like much of the team) needs to finish his chances. If he can improve there, he and Gaudette are going to be a lot of fun to watch on that second line. 3) What are you looking for going forward with the team? Downie: The team didn’t have any finish in Game 0. After they struggled to score against Colgate and Bentley at the start of last year, I would have liked to see a few more high quality chances hit home. The power play also went 0-9 despite a lot of zone possession. There wasn’t much creativity to be found on the PP, just a lot of perimeter passing. All in all though, no player really played enough to form strong opinions. We’ll see what happens after we play a game with 18 skaters and have to form them into legitimate lines. Davis: Discipline. Discipline. And more discipline. Acadia was gooning it up but NU does have a history of penalty-taking, and if the Miller/Millea ref pairing is any viable indication, referees will be more apt to call penalties for anything they see remotely wrong. The penalty kill stepped up Saturday night, but NU needs to show the discipline they had last year will carry over to this year. I agree that NU needs to rediscover their ability to finish their chances, particularly on the powerplay. I liked the variation in zone entry the team had- I’ll be looking for that to continue and provide different looks in the offensive zone to provide more opportunities to score. Quinnipiac next week will not be an easy task, but this team should be able to come out with at least one victory. Fallon: Discipline is important. Finishing is important. But I think the most important thing going forward is the blue line. This team will score goals. The development of Cockerill, Williams, Shea, and Davies and their ability to dig out pucks and drive possession are going to be essential. For the first night at least, they all looked good to great. The bottom pairing still needs to be figured out as well. Owens has the inside track with two years of solid play under his belt, but Jon Barry and Garrett Cecere will push for time as well. I was not impressed with Nick Fiorentino in the little I saw of him yesterday, but he will get more opportunities along the line. 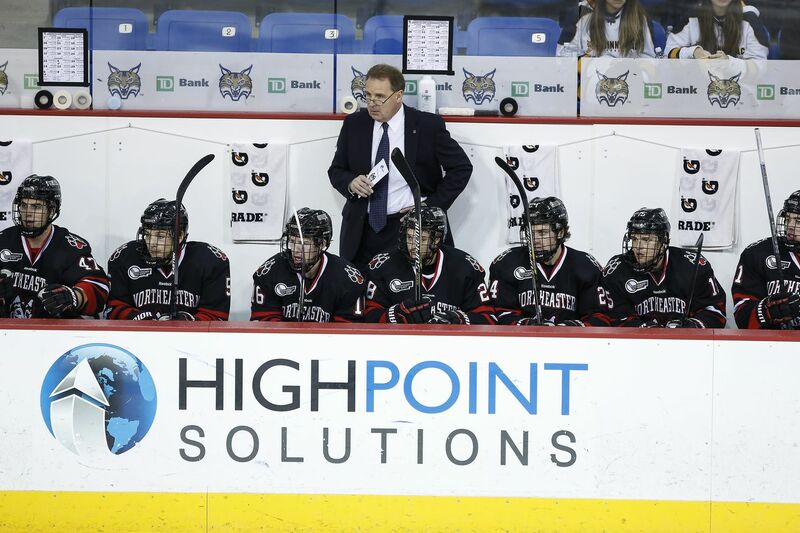 Northeastern is back in action on Friday, October 7th and Saturday October 8th, for their first game that will count against their record and their PairWise Ranking, taking on the Quinnipiac Bobcats. We will attempt to post a recap after that series as well, depending on how many of us can watch the games either live or via the QU stream. 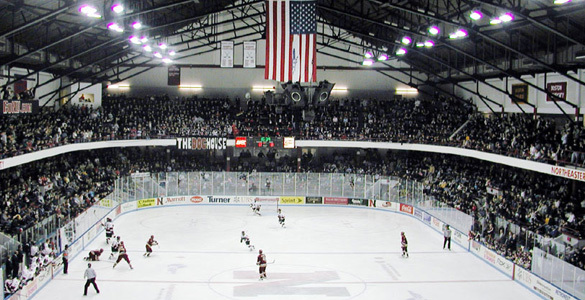 Northeastern returns to Matthews Arena October 15 to face Bentley, a night where they will unveil the 2016 Hockey East Champions banner. Remember to follow us on Twitter @NUHockeyBlog for all the latest NU hockey news. As always, Go Huskies!